These cloth critters are plotting something evil... Shoot ‘em all to bring democracy and freedom back to this planet! Evil bandits kidnapped hostages and are keeping them in The Saloon. Only you - the best shooter in the Wild West - can save them! You are a member of this special anti-terrorist operation: Shoot and destroy! In this epic interactive game, your mission is to protect The Silver Nugget and shoot the bad guys trying to take it from you! Take your position, shoot all enemies, and stay alive as long as possible! 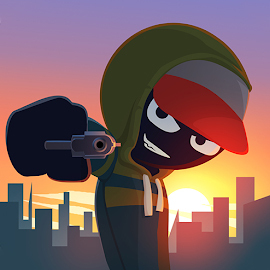 Shoot like a pro-sniper, time your reloads perfectly, and shoot all moving stickmen in the online game Stickman War!